Three Poems By Des Mannay: "The New Rock'n'Roll", "Vignettes and Alcohol", "Advertisement Feature"
Des Mannay is the recent winner of the 'rethinkyourmind' poetry competition (2015). Placed 2nd in the Disability Arts Cymru poetry Competition 2015. 'Gold Award' winner in the Creative Futures Literary Awards (2015). Shortlisted for the erbacce-prize for poetry 2015. 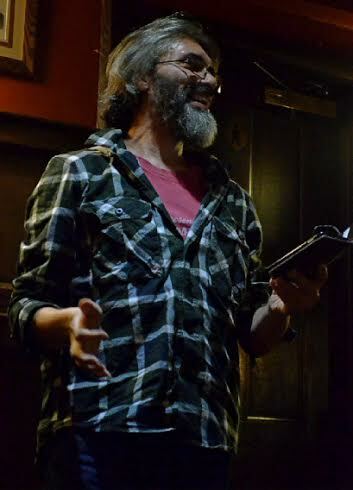 Shortlisted in the Welsh Poetry Competition 2015. "Focused on hard-hitting social issues. Des Mannay’s ‘And the Dead Shall Rise’ expressed his disgust at a fracking company in Wrexham purchasing the site of a mine disaster still classed as an official gravesite , whilst ‘Would that I have died that night’ was inspired by a letter he had read on the issue of assisted suicide. These were poems which made a statement, and his last words – “Beware as prejudice becomes dressed as rights”' (Sabotage Reviews). And voting just means pressing the 'red button'? Or history becomes just one damned thing after another? When there's nowhere to run to baby, nowhere to hide? Coz the music that they play, says nothing to you about your life? 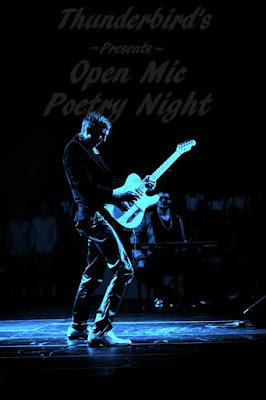 Then poetry is the new Rock'n'Roll! Are there no more heroes? How many Bovines in a cow herd? Do you like Noel Coward? Is he really Noel Gallagher? When was the first Noel? Is there really no hell? Or am I just a know all? Do I come before a fall? Or did I just exist before? Why does 2+2 make 4? And - "is it my imagination or have I finally found something worth living for? I was looking for some a-c-t-i-i-i-o-n but all I got was......"
"So don't leave home without one - I bought the company." Life is one big shop window display.